Product information "Shimano XTR Discbrake BR-M9000 XC-Race"
Thanks to improved control, heat reduction and ergonomics, you'll seamlessly react to terrain changes with the highest level of braking confidence. The BL-M9000 brake lever has an overall lighter weight thanks to carbon lever blades and magnesium master cylinder. 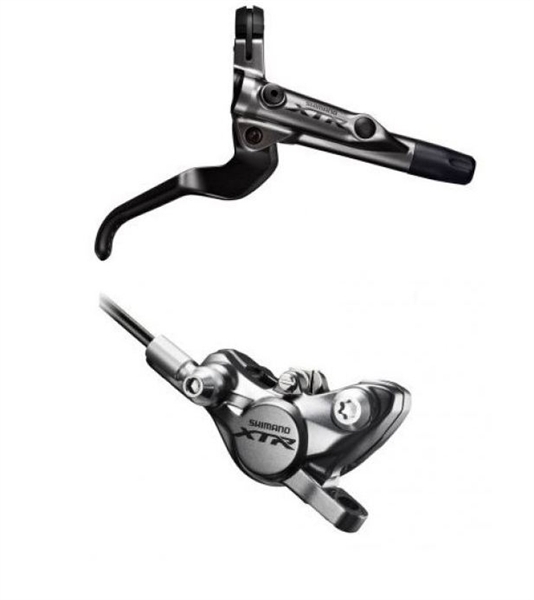 Related links to "Shimano XTR Discbrake BR-M9000 XC-Race"
Customer evaluation for "Shimano XTR Discbrake BR-M9000 XC-Race"